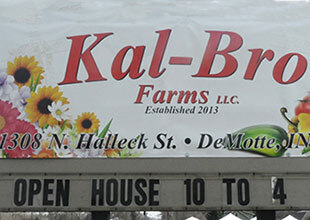 I love when spring comes each year and it&apos;s time to plant flowers in my yard, so I was really excited to hear that one of my favorite greenhouses, Kal-Bro Farms in DeMotte, was having their open house. I was even more excited when I found out that Bub&apos;s BBQ was going to be there, too. My daughter, Jenna, and I headed over to Kal-Bro on a warm, slightly breezy spring day. 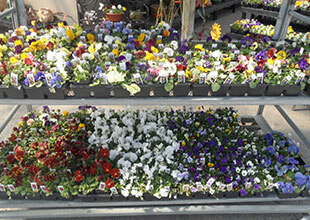 The first thing we noticed was flats and flats of beautiful multi-colored pansies. 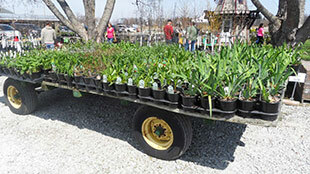 We were also impressed with the huge selection of potted perennials, trees and shrubs that were already displayed outside. 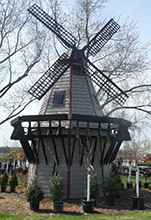 People were milling around Kal-Bro&apos;s trademark Dutch windmill, which stood tall over the rows of plants. We stopped for a minute to introduce ourselves to RJ Howard, the owner of Bub&apos;s BBQ. 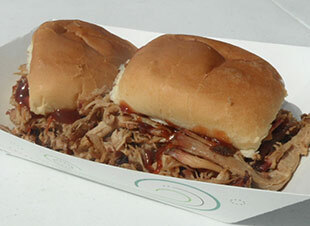 He explained to us that Kal-Bro was offering free pulled pork sandwiches to customers who spent a minimum of $10. 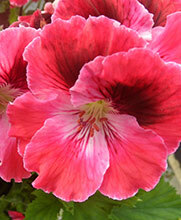 Smelling that fabulous pork was even more incentive to buy a flat of pansies! As we meandered around outside, ideas kept popping into my head about where in my yard I could plant some of the beautiful perennials. Thankfully, Kal-Bro&apos;s staff is very knowledgeable and always happy to answer my questions, because as much as I love gorgeous flowers in my yard, I don&apos;t have a green thumb! Jenna and I headed into the store and immediately noticed how many unique and colorful products had been added. 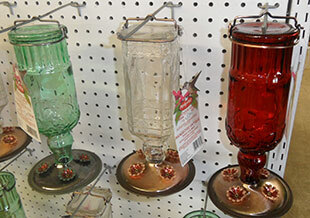 One of my favorites was the hummingbird feeder that was made out of an antique-looking bottle. There were shelves full of gardening supplies, seeds, decorative accessories, fertilizers, pots and more – everything one could need to beautify their yard. 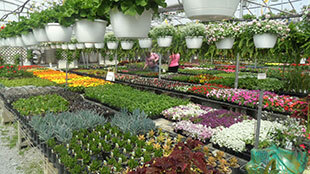 As impressed as we were with the store, we were blown away when we walked through the doors to the greenhouse. There was a profusion of gorgeous flowers and plants, in every color, shape and size imaginable. Lush baskets hung above our heads, overflowing with bright blossoms. 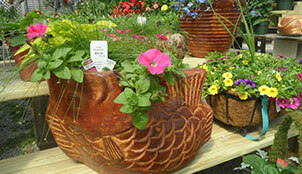 Creative planters filled with stunning combinations of plants lined the aisles. It was truly a sight to behold. After wandering around for a while and chatting with the friendly employees, we reluctantly headed back outside to purchase our pansies, dreaming of warmer temperatures and filling the yard with flowers. 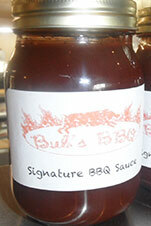 The reluctance only lasted until we realized it was time to get some of Bub&apos;s BBQ&apos;s enticing pulled pork. When it&apos;s time to buy my wonderful mother her Mother&apos;s Day present, I&apos;ll definitely be heading back to Kal-Bro for some of their fantastic flowers. I think I&apos;ll have to stop at Bub&apos;s on the way home, too! Former communications coordinator with the South Shore CVA.